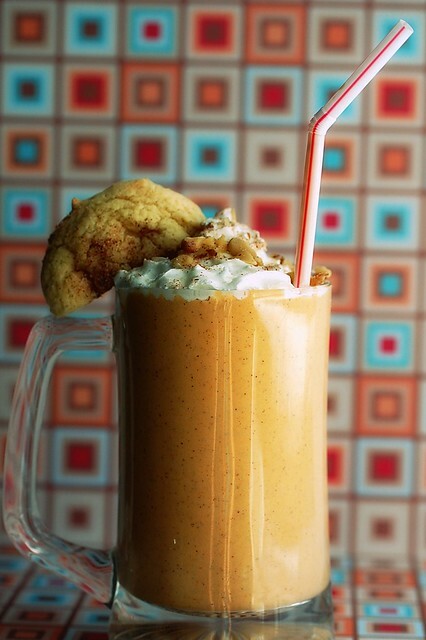 In a blender, combine sweet potato, ice cream, milk, cookie, walnuts (save a few walnut pieces for topping) and cinnamon and blend until well combined and smooth. Pour into two glasses and top with whipped cream. Sprinkle with walnut pieces and cinnamon sugar. 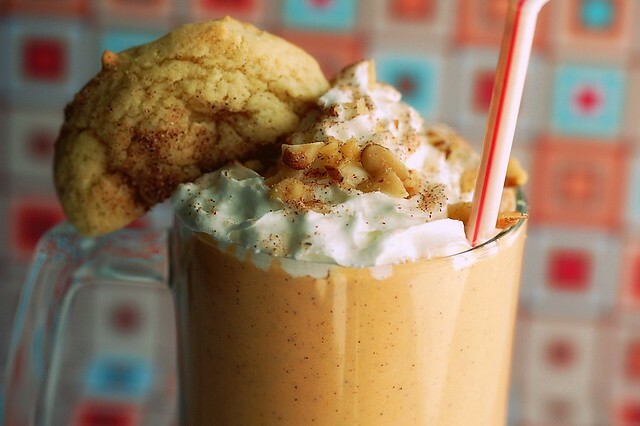 25 comments on "Spiced Sweet Potato-Snickerdoodle Milkshake"
I haven't even tasted this and it's already making me emotional. Shoot. Must make! this sounds amazing! I can't wait to try it. boy do I want to make this! Yummmmmy! As a North Carolina resident and sweet potato lover, I applaud all aspects of this recipe! omg this looks insanely good..just wish I had some snickerdoodles on hand. How yummy and kid friendly is this? I love it!! Emily.. there are no words for how amazingly delicious this looks. YUM! Ah I love anything with sweet potatoes in it! I don't know what North Carolina sweet potatoes are, but I'd guess that they're just as delicious as the ones we eat up north. Can't wait to try this! I LOVE this milkshake! Wholesome and filled with my favorite orange veggie! Yummy this looks delicious! Eric's post was funny too! That milkshake looks SO ridiculously good - wow!!! 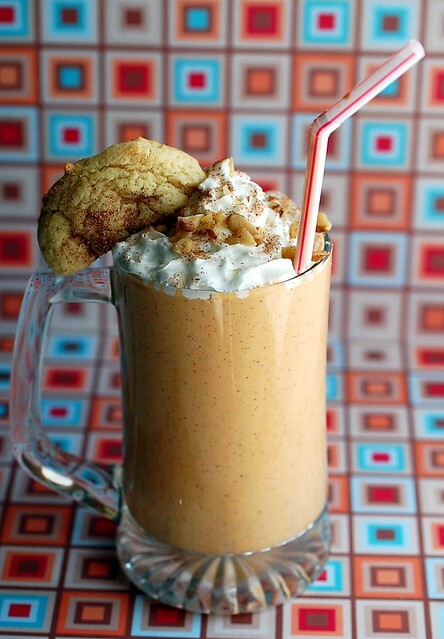 Very creative adding sweet potato to a milkshake! Hands-down, the most creative use for sweet potatoes I've seen in a while! I MUST make this milkshake. Awesome idea, Emily! FABULOUS entry, i want one!! This sounds very interesting. But it looks awesome! I do LOVE snickerdoodles. And I enjoy sweet potatoes. But I don't know about in a shake. Is the sweet potato flavor very noticeable?? I'm extremely interested in trying this. Thanks for sharing! this is an absolute first, emily. what an amazing texture it must have--very inventive of you! 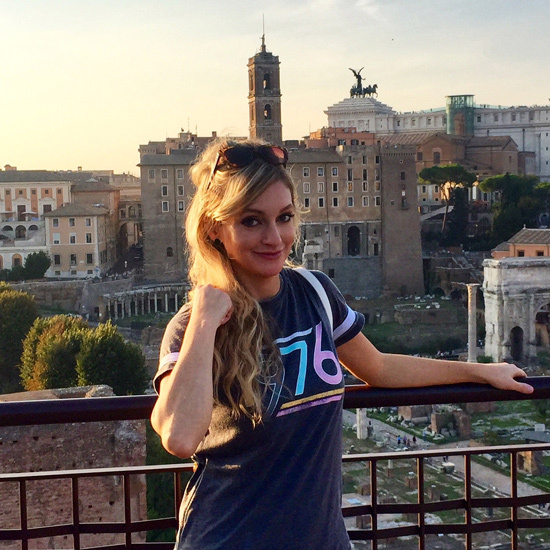 Em, I haven't visited for a while, but your photos just in a short time have become out of sight AMAZING! That part of blogging I still have issues with - what is your secret? What a delicious looking milkshake! Loving the addition of sweet potato....it reminds me of Thanksgiving dessert in a glass!